I originally wrote this post in June 2012. Though most of what I wrote then is still true, there are some new observations. We are now four and a half years removed from the greatest economic adjustment of our generation. It was a perfect storm of a crash in the equity market and the housing market. Historically, we have had adjustments in the equity market and adjustments in the housing market, but we have not had large simultaneous adjustments. This one was so significant that it is taking a while for the US to recover. The impact has been far reaching. A lot has been said about the impact on churches. In reality, about 1/3 of churches are up from 2008-2009, 1/3 are down and 1/3 are flat. Despite what many may say, the economy is not the main reason for that, except in a few cases. The downturn in the economy may have accentuated the effect on some, but internal factors actually have a lot more to do with the downturn in giving. The bigger effect of the economic adjustment has been on the mindset of givers. 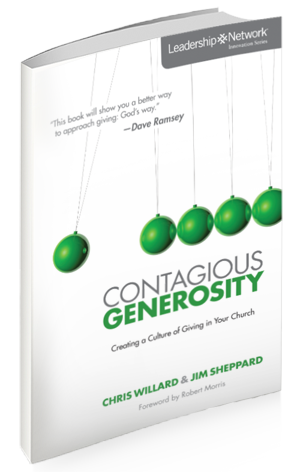 As the people in our churches think about their giving, their paradigm has shifted. Prior to 2008, money was “easy come, easy go.” Don’t worry so much about where you give it because you can always make more. Not true any more because our hard earned dollars are harder earned than ever before. As a result, donors are now much more careful in where they want their money to go. If you are planning an accelerated giving initiative of any kind — annual giving, capital funds, ministry venture capital or legacy giving, among others — there are new realities in play. To optimize the success of any giving initiative will require taking these realities into account. Increased vetting of giving options. People are a lot more careful where they give in the post-2008 era. The tendency is to give more money to fewer, carefully selected choices. Givers will vet their charitable options according to criteria they have established which will include among others, ministry impact on people, transparency of financial disclosure and stewardship of resources. Portfolio management perspective. This one is huge. Prior to 2008, we saw this primarily among high capacity givers. Now we are seeing it at all levels. People are investing (i.e., giving) to churches and ministry organizations where the highest “ROI” is perceived. ROI is defined as impact. In other words, what results is the church or ministry organization getting. The big shift is that givers will move money from those they perceive to be “low performers” to “higher performers” in terms of impact. Churches cannot assume their people know — they have to make sure they have told the church’s story well and have clearly demonstrated the impact of their ministry. Reducing debt is more popular than it has been historically. At least for now. This is the after effect of seeing what debt did to people and organizations in the economic adjustment. For years, church members have had low motivation toward giving initiatives that were focused on reducing or eliminating debt. For now, reducing or eliminating debt is seen as a real positive and givers are motivated to invest in it. It is reallocating funds from debt service to ministry! Transparency about finances. Historically, churches have not disclosed a lot of financial information. However, people now want to know more about where their charitable giving is going. The want to know how the church is doing — income statement and balance sheet. Churches do not get a pass on this, especially among younger donors. Givers, especially younger ones, want mobile giving options. Many of the younger givers in churches want to be more generous, but the church does not make it easy. The primary giving means is the offering during worship services. Givers want to be able to use their smartphones and tablets to give right there on the spot. It is not enough to ask them to remember to go home and do it online. If you are planning any other kind of strategic giving initiative, pay attention to these new realities. It may well be the difference between exceptional and ordinary when it comes to results. We are now three and a half years removed from the greatest economic adjustment of our generation. It was a perfect storm of a crash in the equity market and the housing market. Historically, we have had adjustments in the equity market and adjustments in the housing market, but we have not had large simultaneous adjustments. And, unlike other significant market adjustments, we have not yet seen a recovery. Increased vetting of giving options. People are a lot more careful where they give in the post-2008 era. The tendency is to give more money to fewer, carefully selected choices. Givers will vet their charitable options according to criteria they have established which will include among others, transparency of financial disclosure and stewardship of resources (does the church or ministry organization do a good job of stewarding financial resources). Portfolio management perspective. This one is huge. Prior to 2008, we saw this among high capacity givers. Now we are seeing it at all levels. People are investing (i.e., giving) to churches and ministry organizations where the highest “ROI” is perceived. ROI is defined as impact. In other words, what results is the church or ministry organization getting. The big shift is that givers will move money from those they perceive to be “low performers” to “higher performers” in terms of impact. Churches cannot assume their people know — they have to make sure they have told the church’s story well and have clearly demonstrated the impact of their ministry. Reducing debt is popular. At least for now. This is the after effect of seeing what debt did to people in the crash. For years, church members have had low motivation toward giving initiatives that were focused on reducing or eliminating debt. For now, reducing or eliminating debt is seen as a real positive and givers are motivated to invest in it. 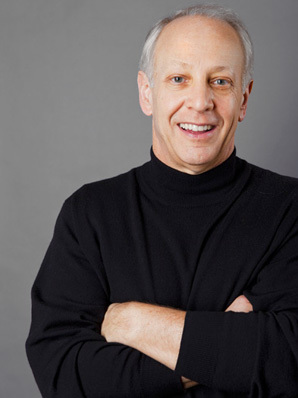 As we start 2012, I thought it might be good to review the fundamentals of growing generosity. My position allows me to see a lot of situations and I am amazed at the number of church and ministry leaders who do not fully understand even the basics. So, let’s review that here. It’s really that simple – a story and someone to listen. Yes, there are other factors, but it starts with these two. If you don’t have these right, nothing else matters. The compelling story is the factor that grabs the hearts of those who might be willing to be generous to that church or ministry cause. I see lots of churches that have well designed web sites and communications but the story content is lacking. Too many of the web sites I see look like overgrown electronic bulletin boards. I know churches have to promote activities and events, but not to the exclusion of telling stories of how the church has impacted hurting, hopeless, helpless people. I’m not trying to be derogatory. I just want churches and ministry organizations to see how they are perceived when potentially interested givers try to access information about them and find nothing to grab their hearts. Here are a couple of churches that have done a good job in balancing the need to provide information about events and activities and also present compelling stories. Having an engaged audience is just as important. If you have a compelling story, but no one to listen, that doesn’t work, does it? I constantly hear church ministry leaders lament that their people are not as engaged as they could be. Too many times, we want to lay the fault for that at the feet of the people. Busy schedules and increased mobility among church people might be part of the issue. However, churches and ministry organization need to look in the mirror, too. Have you presented the story of your ministry in a compelling enough way to cause your people to want to be engaged inn serving, leading and giving? The stories are there, but have you told them publicly? Give your church or ministry a quick check up as you start 2012. Are you telling your story well and engaging your people? If you haven’t, I’d recommend you make this one of your top priorities for 2012. In particular, look at your web site and regular communications media. Is there some aspect that would grab the hearts of your people? If not, work on that. Tell the stories of how your church or ministry organization has impacted the lives of people within your sphere of influence. Your people will be more engaged than ever — and probably more generous, too.